ALINE insoles are very popular in our office. We’ve fit many patients for this reasonable alternative to custom orthotic inserts, and nearly all of them were thrilled. ALINE insoles are a foot-suspension system taking the nation by storm. They were developed right here in Massachusetts, on Boston’s North Shore. At Moramarco Chiropractic, and Scoliosis 3DC, we have been searching for a product like this for quite a while, an insole that is a substitute to a custom orthotic, with a custom fit, and at a reasonable price! Nearly everyone can benefit from ALINE’s. If you pronate or supinate, a fitting in our Woburn office on the company’s patented diagnostic tool will clearly demonstrate any foot issues. Find out how you can benefit from ALINE insoles today! ALINE orthotic insoles are designed to optimize the foot and its natural performance. The foot is a complex system comprised of 26 bones and 33 joints linked by a network of muscles, tendons, and ligaments. When the foot is positioned properly, the body follows. Wearing ALINE insoles can help with a multitude of problems caused by foot misalignment including foot problems, ankle problems, knee problems, hip problems, and back problems. ALINE’s can also help prevent future injuries, again, because the foot is the foundation of proper alignment for the human frame. 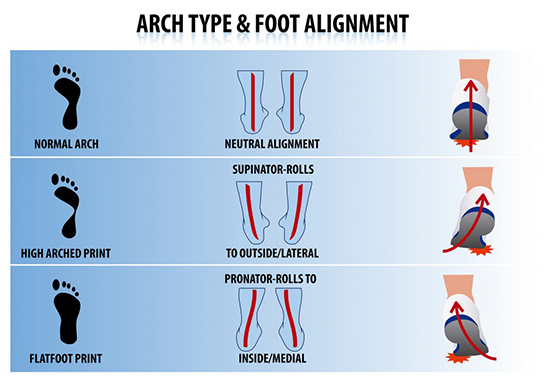 For athletes, improved foot alignment translates into improved athletic performance. ALINE orthotic insoles support the foot in a way that allows for its natural range of motion while reducing unnatural movements caused by improper alignment. The result is improved performance because the foot is in the optimal power position. Athletes around the country are discovering the benefits of ALINE insoles, including golfers, runners, cyclists, skiers, hockey players, and skateboarders, just to name a few. ALINE insoles and chiropractic care are a winning combination. Together, they can help keep your body in optimal alignment. Like chiropractic philosophy, ALINE has looked to the root of the problem, seeking to fix the cause of the problem and not simply address symptoms. 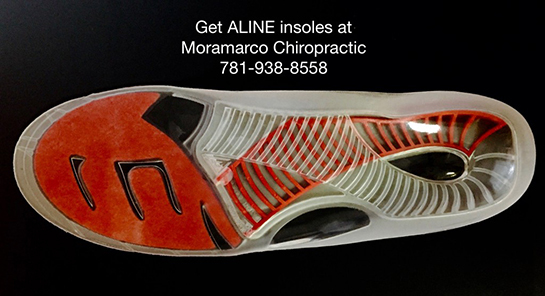 At Moramarco Chiropractic, we are truly excited about the benefits of wearing ALINE’s in conjunction with regular chiropractic care. 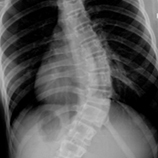 Contact us today to get fit for your ALINE’s and put your body in better balance!